From all of us at deVine’s to you and yours, we wish you a very Happy New Year in 2019 with all the best for happiness, good health and prosperity. May good fortune and luck follow you wherever you go and in all that you do for the coming year, 2019. We thank you for your continued patronage! Here are some New Years Wine recommendations for your consideration. Have a fun New Years, and remember to drink responsibly. 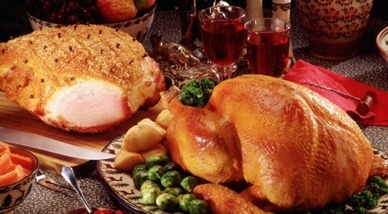 Wow…Christmas is almost upon us, so here is our annual picks to accompany the classic turkey and/or ham dinner with all its fixings. Start your evening off with a sparkling wine,followed by whites, reds, a dessert wine and perhaps a lovely port to end off the evening. 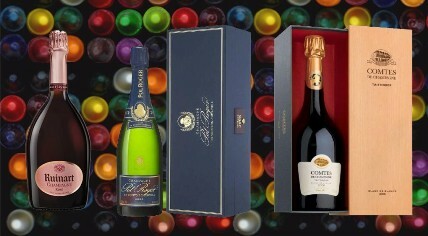 Sparkling wines are a great way to start any function whether its a greeting aperitif or to pair with appetizers. Lively and clean, these will get everyone ready for what’s to come next. Now if you serve Champagne, your audience will immediately know you’re here to do some serious partaking and celebrating. As for dessert, remember dessert wine should be sweeter than the dessert itself. Port is always good for the final touches of a meal whether its a ruby or a tawny. Try with blue-veined cheeses and roasted nuts. Finally, if you are pressed for time, try out our December Mixed Case – $233.87 or our December Club 6-Pack – $171.08 where a lot of the wines would pair well with Christmas dinner. Note our extended hours of operations leading up to Christmas and New Years. Top of the Season to everyone! I’ve always been fascinated with big bottles of wine at any event – it immediately adds that feeling of something special is going to happen – partly because the size infers lots of people, fun and joviality amongst friends and relatives. 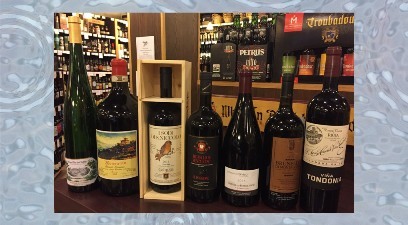 Also, wines from magnums and even bigger formats usually show youth and vitality because the airspace to wine ratio is lower, and thius the wine ages slower. So, for Christmas, whether it be at the dinner table, or as a special gift to a loved one, consider a magnum (1.5L) or a double magnum (3.0L). At deVine’s, we buy big bottles all year long just for this time of the year. 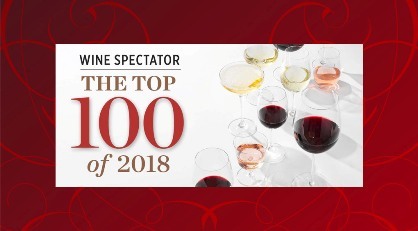 Below is a very large list of available big formats at deVines for your consideration (availability is very limited, most we only have one or two bottles of each for sale), so shop early for the best selection. Read the rest of the blog with additional big bottle recommendations: here..
Have yourself a Merry Magnum Christmas! Mark your calendar for Thursday, December 13th! 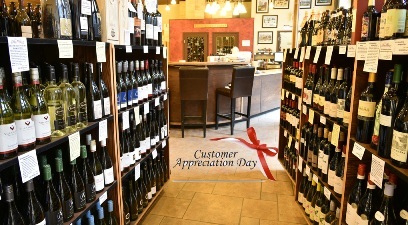 Every year, deVine Wines will host our annual Customer Appreciation Day – Thursday, December 13th to say a special “Thank You!” for your ongoing support and patronage. deVine Wines will be offering our customers a 10% discount ** on all in-stock regular priced wines and spirits plus additional select items up to 30% off. The sale will run all day, starting at 10:00 AM until we close at 8:00 PM. There will be two wine stations and a beer station set up for free sampling from 3-6pm. It’s a great opportunity to do all of your Christmas shopping in one day. **The sale excludes beers and ciders as well as wines stored in our vintage keeper or vintage room. Cannot be combined with other sale items and no rain checks. See you on Thursday, December 13th.